The tensions in Pakistan had been building all year, and President General Pervez Musharraf was getting it from all sides. The Taliban gradually solidified control in the northwest of the country, and Islamic extremists, who had holed up in Islamabad's Red Mosque, led to a violent standoff in July. At the same time, liberal democrats were pushing for free elections and for Musharraf to give up command of the military, while Western governments were pressuring him into not-so-secret power-sharing negotiations with former prime minister Benazir Bhutto, which ultimately failed. Bhutto returned to Pakistan from exile in October only to face an assassination attempt, and extremists stepped up suicide bombings in the cities. After months of threatening to do so, Musharraf imposed emergency rule on Nov. 11. He has since faced protests in support of the independent judiciary that he sacked, with white collar workers  who benefited most from the economic reforms he passed  taking to the streets calling for his removal. 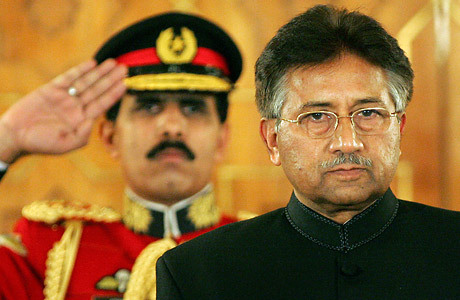 Grasping for legitimacy, Musharraf gave up his military leadership and has scheduled parliamentary elections for Jan. 8. Some opposition leaders say they will boycott the vote, but Musharraf's biggest challenge may come from the U.S., if the Bush Administration decides he's a dispensable ally without his general's uniform.